People born in the 1970s in Finland may be lacking the measles vaccine to protect them against the illness, which is highly contagious. 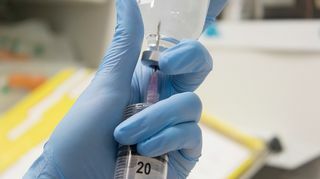 The information came to light last week following a case of measles contracted by an unvaccinated child in Larsmo, Ostrobothnia, last week. Since then government ministers and doctors have emphasized the importance of vaccinating children. According to the THL (National Institute for Health and Welfare), people of all ages should ensure that they are protected. "If you don’t have the vaccination, it should be taken." The agency noted that because measles was relatively rare in the early 70s many people born at that time may not have been vaccinated. Many of these adults have received vaccinations later, for example in the army, when about to embark on a trip, during their student years, or from occupational health care. "If you’re unsure about whether you’ve received the vaccination, you should definitely take it. There’s no harm from taking an extra vaccination,” says THL specialist Mia Kontio. The THL expert said she also falls into the category of adults who didn’t receive the vaccination. ”I was born in 1972 and I haven’t received the vaccination. l got measles in the 1990s when I lived abroad. I ended up [in hospital] on a drip for five days as I was in such poor shape,” says Kontio. People born before 1970, according to THL’s Kontio, have a greater likelihood of having had or being exposed to measles, and thus having natural protection against contracting the illness again. Measles epidemics raged in Finland approximately every five to seven years. "Almost all those born before 1970 have protection against the illness," she adds. The measles vaccination was adopted into the Finnish national vaccination programme in 1975, when children at the age of one were inoculated. They were given the vaccination in one shot. From the year 1982, the vaccination was given as two doses and those who had previously received only one shot were given a second. For those who have received only one vaccination, a second shot or booster should be taken says Kontio in order to improve the efficacy. 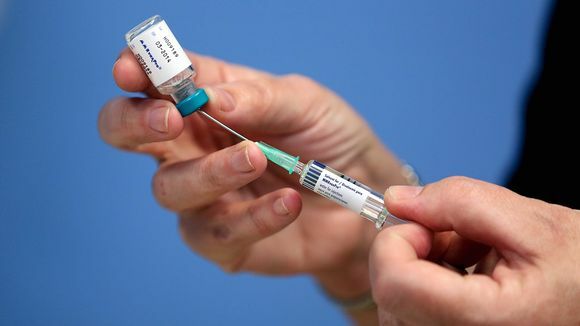 There are others born in the late 1970s who for some reason or other didn’t get vaccinated, for example, their parents didn't want them to take the jab. The MMR (called MPR in Finnish) vaccination is free at healthcare centres in Finland. Before the days of online medical records, vaccinations and illnesses were recorded on vaccination cards, with the measles shot marked as the MMR vaccine. "If you find your vaccination card, but are unsure of the markings on it, it’s possible to call the health centre and have them explain to you,” says Kontio. If there are no records or information about whether a patient has been vaccinated or contracted measles, the recommendation is to go and get the vaccine at a local health centre. The measles vaccine is free and is administered as part of the MMR shot, which also provides protection against rubella and mumps. 10 December corrections - People born before 1970 have a greater likelihood of having had or being exposed to measles as epidemics then raged approximately every five to seven years.